Late Saturday afternoon Candace arrived! We headed down for a walk along the beach and to see the nightlife of 5th avenue. 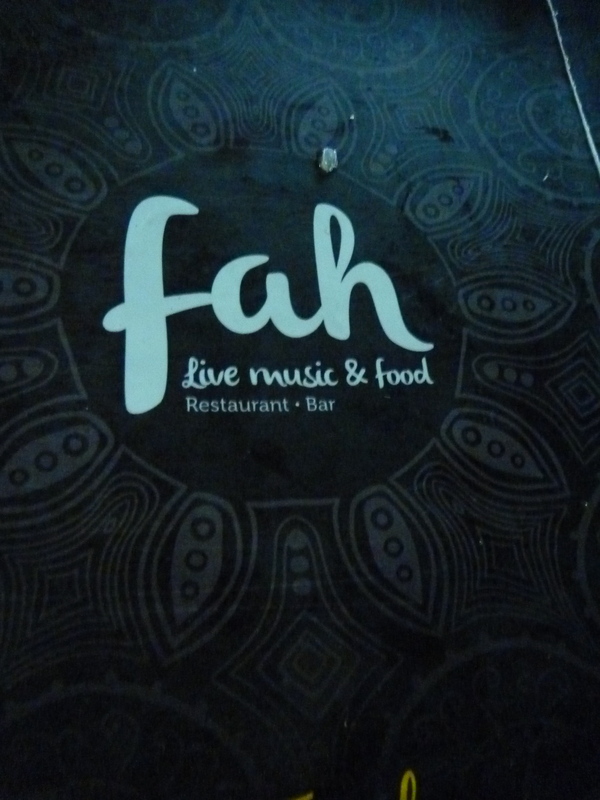 We stopped at a restaurant called “Fah” for some chips, guacamole and tacos! Although the service here was terrible, the food was pretty amazing! We finished the evening off with a Mojito lesson at our hostel ($4 US) where we met some more solo travellers from Mexico City, Germany and San Francisco. 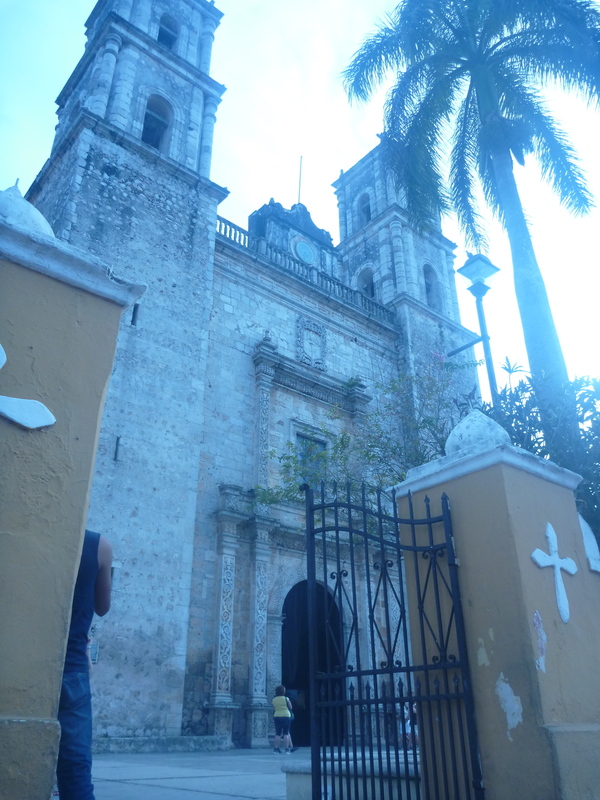 Sunday morning came very early as we decided to do a day excursion to see some of the highlights of Mexico. We booked the day trip through our hostel which was probably the best decision, it was only about $60 US for a full day trip whereas when previously looking at tour companies many day excursions were over $100 US. The tour group, “Easy Tours,” picked us up directly from our hostel at 7:20am. After stopping at a few other hostels to pick people up we ended up getting dropped off in front of a giant coach bus which we would be travelling on for the day. 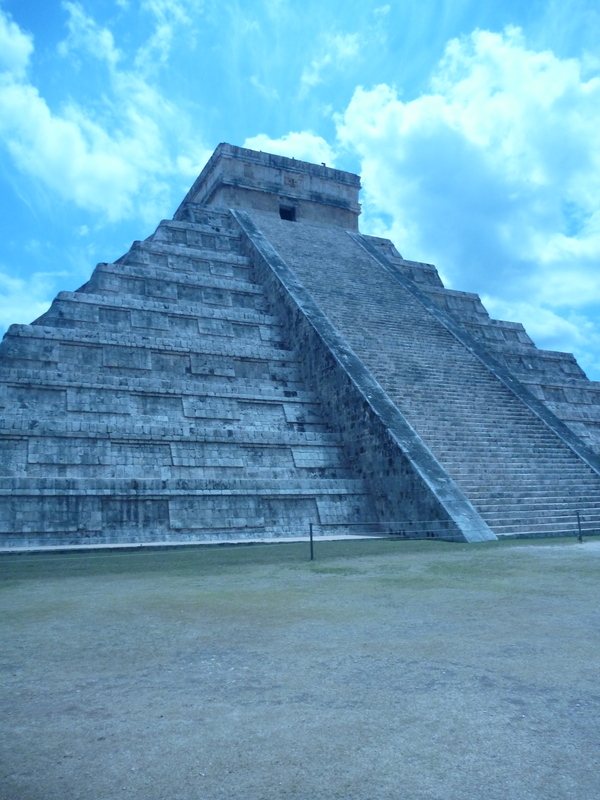 Our first stop was Chichen Itza, a large pre-Columbian city built by the Mayans, also one of the seven wonders of the world. I couldn’t believe the amount of detail and calculation that went into building each of these structures. In the structure below, every angle, stair and level was carefully calculated to align with or represent in someway the calendar year. The great part about this spot, apart from the very cool architecture was the souvenirs! There were so many people selling them here that most were selling amazing handmade goods for $1. Also, it was really easy to barter with them and talk them down in price. 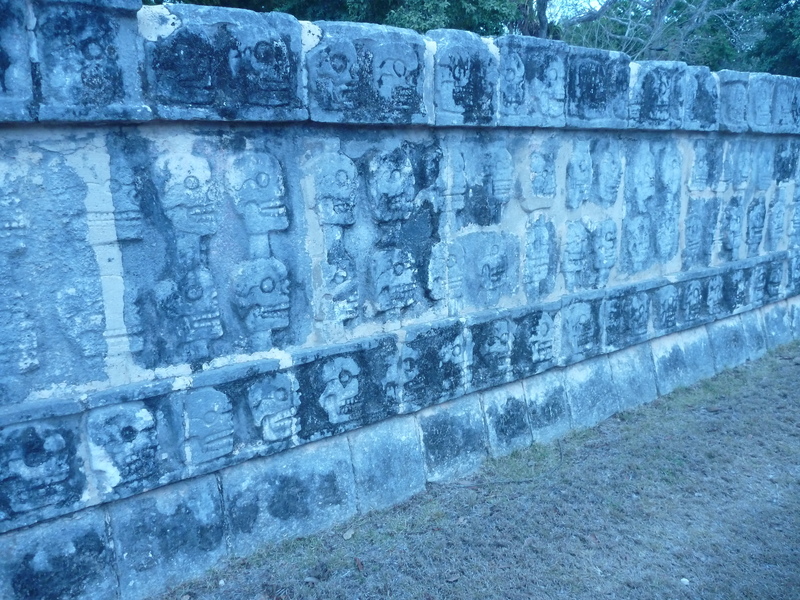 Right near this wall of skulls was a ball court. It was here that two teams that would compete and try to get a 4lb ball through a circular hole that was mounted on either side. The unfortunate outcome of this game was that the captain of the losing team was decapitated. 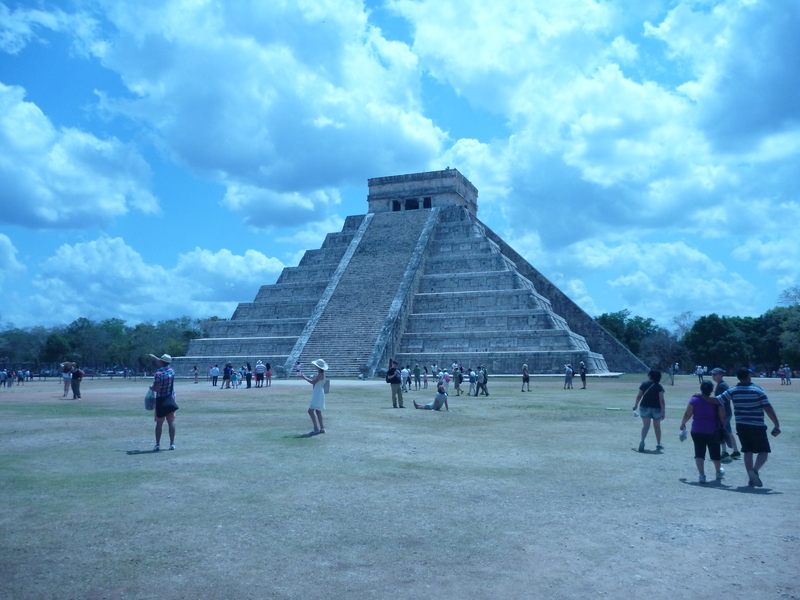 After Chichen Itza we stopped at a buffet restaurant for lunch where they had authentic Mexican food and even dancers. After lunch we went to what is probably one of the most beautiful places I’ve ever seen, Ceynote Il Kil. Everyone has to shower beforehand and then you take a carved staircase to get down to it. 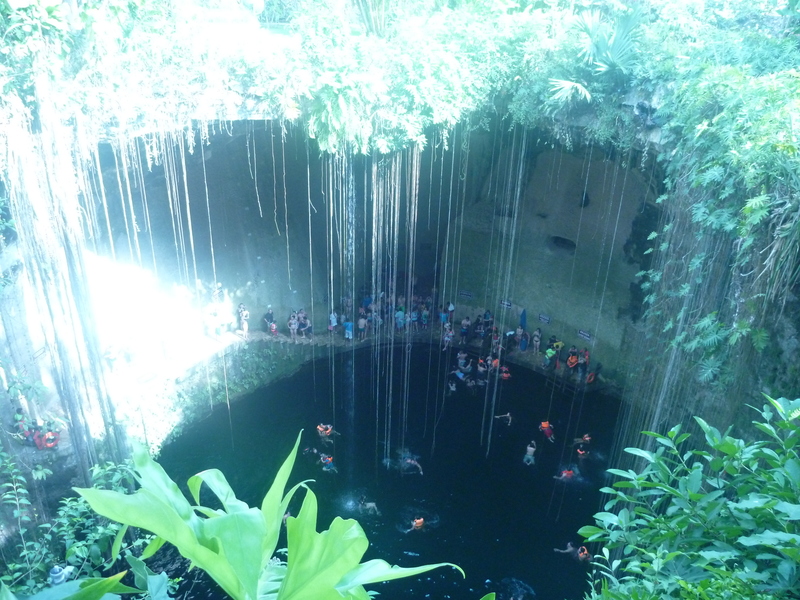 It has the cleanest and clearest water with small fish swimming below you. They even had a raised staircase where you could jump off. Our fourth and final stop of the day was a small city called Vallolid. Here they had alot of craft shops and even a really nice square that had a lot of local vendors selling handmade goods. Be prepared to pay if you need to use the washroom here. Everywhere that had public washrooms had a sign out front indicating that the cost was $3 US to use them. 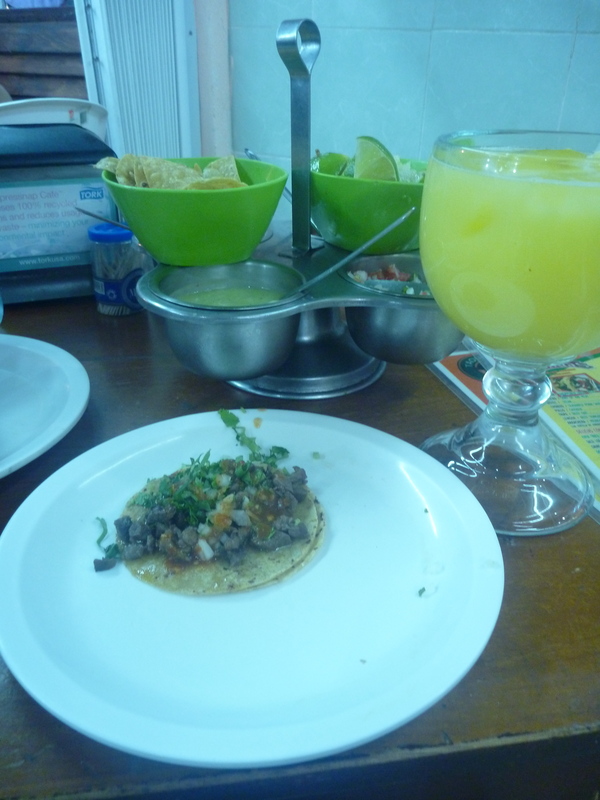 Upon arriving back in Playa Del Carmen we headed to a place called “Taqueria Arandas” for tacos. They even gave us 4 kinds of complimentary salsa with chips! That evening we headed back to our hostel, relaxed in the courtyard with a couple of drinks while waiting to grab our 11:40pm overnight bus to Belize City. Surprisingly the ride was actually really comfortable. Besides the freezing temperature of the bus (the driver had the AC on full blast! ), it was really quiet and everyone just slept. 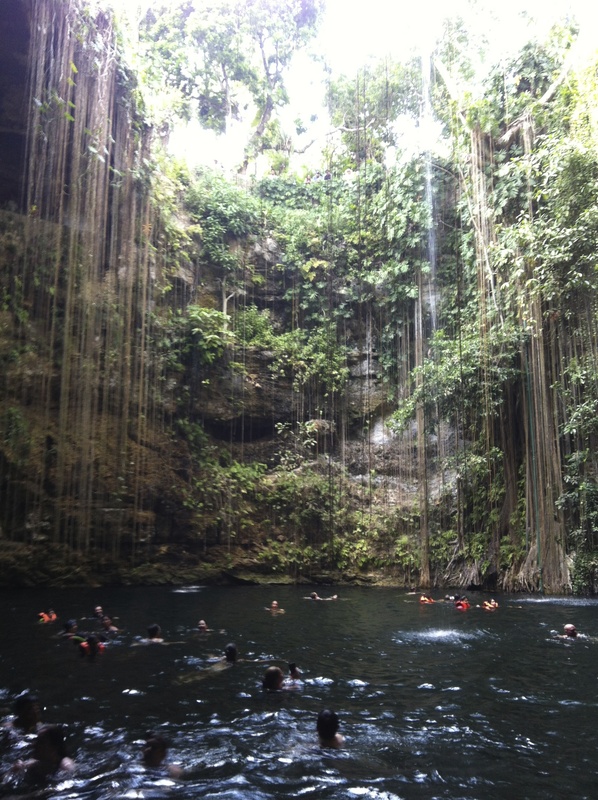 Before arriving in Belize City we had to make a couple immigration stops. One right before crossing the Mexico/Belize border to notify them that we were leaving the country and again as soon as we entered Belize, new passport stamps woot woot!